Merry Christmas Dude! Looking forward to your 2015 posts. Thanks Nancy! I have some pretty good capers I'll be sharing in the New Year. Merry Christmas! ....Dude! You give us the gift of reselling inspiration all year long! Merry Christmas Dude! Thanks Lorraine, that's nice! Hope to keep everyone inspired in 2015. Merry Christmas to you and your family....Dude! Hope you had a great Christmas. And wishing you a fabulous and prosperous 2015!! 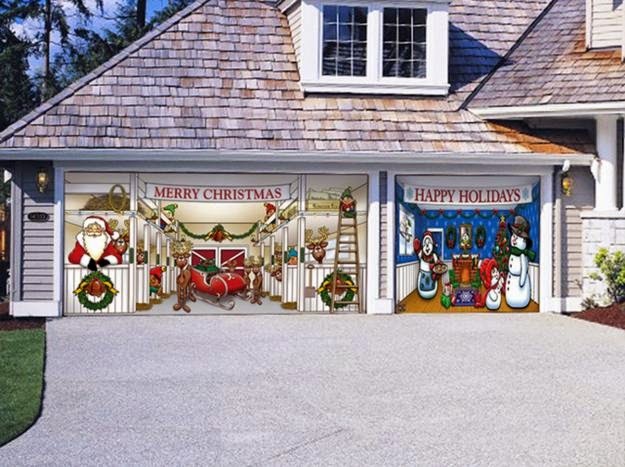 Love your stories and the garage door covers are awesome too! Happy New Year! Cara- Thanks for lucking my capers! I can't take credit for the garage doors, that's just a stock photo from Google I used to illustrate my point. Happy New Year to you too...Dude!